Khandan – announced Nahida Daini Member of Parliament for the mass of the Iraqi Forces Union, Prime Minister Haider al-Abadi will attend next Monday to the House of Representatives his request to discuss the demands presented to him from the coalition “Union of Forces” and “national” and to inform the Parliament on the developments of the security situation in the country. Included demands made by Sunni blocs Prime Minister’s commitment to implementing document the political agreement in all its vocabulary, and re-drafting of the National Guard law to ensure the absorption of tribal fighters, and a commitment to arm the tribes and provide support as soon as possible, and a commitment to providing criminals and unruly to justice regardless of their political cover, in addition to cancel Justice and Accountability Act and convert it to a court file. Suspended Sunni political blocs to attend meetings of the House of Representatives after exposure Sunni deputy attempted kidnapping at the hands of an armed group killed evacuated uncle and 9 of his companions, north of Baghdad. Khandan – reported (Financial Times) British, said that the organization “Daash” The terrorist is suffering a shortage of financial resources is no longer the same former riches, began to impose fines and reduce subsidies on certain products, which was supported by increased sales. And demonstrated the newspaper through what ails currently Syrian Areas under the control of the terrorist organization, was formerly the flogging of smokers, but now Fagrm smoker $ 65. They also dismantled the old government installations of the system to be sold as spare parts and machines. The newspaper added, saying: says Syrians who live under the rule of the organization, it is no longer being spent on fuel subsidies and bread as it was before, complain shopkeepers of the elements of the organization are not spending a lot, but they are extorting people to get more money. The newspaper quoted a man who lives in the city areas, located on the Euphrates River, saying: “I was Daash material losses, which led to the stoppage of payment of the salaries of some of the elements, including my nephew.” He added that this shows the difficulty of covering “Daash” expenses for expansion in many areas and recruiting militants. At a time when the Islamic Supreme Council leader Ammar al-Hakim called on politicians in the country to what he called «a major historic compromises», called tribal leader from Anbar province, Ali Hatem al-Suleiman from his headquarters in Erbil, the current Prime Minister Haider al-Abadi, to the arrest of former Prime Minister The current Vice President Nuri al-Maliki as a genuine reconciliation with Sunni Arabs. He said al-Hakim, who is leading the mediation to end the suspension of Sunni lawmakers in parliament in a speech at a conference in Baghdad yesterday that «we face today is the biggest challenge facing this country long ago», pointing out that «the near future depends on us in shaping the nation who bring us, Fbamkanna make the ordeal a reason to unite us, and we move to the beginning of a promising and secure future, and we can make them start to the fragmentation and fragmentation and separation ». Hakim added: «We are facing limited options and a large fateful decisions and history will judge us by what we decide at this stage and we have two options only two, the option of either the state or the option of chaos». In a related development, the condition Ali Hatem Suleiman, a tribal elders and the President of the Dulaimi clan rebels Council, the arrest of Vice President Nuri al-Maliki, a real Kmassalhh of the year, while denying entry to the popular crowd forces to Anbar province. Suleiman said during a press conference in Arbil yesterday «If the Prime Minister Haider al-Abadi and the government wants to reconcile with the fact that year, he must arrest al-Maliki», the latter accusing «bring organization (Daash)». Sulaiman said that we «We will not accept the existence of the popular crowd forces in our organization to address (Daash)», threatening «targeting them by tribal members in case they are there». Suleiman stressed that «the organization will not come out of Anbar, but the will of the people of the tribes», pointing out that «represents Anbar is one of the fights (Daash) and get it out of their areas and restores the displaced to their homes». But a member of the Iraqi parliament from Anbar province, Mohammed al-Karbouli, said in a statement «Middle East» that «the most important issue for us today is the liberation efforts of our areas of all Iraqis and all spectra», pointing out that «what we are working on now at the level of the National Guard is one of the In order to have all the children of the area are in charge of their protection under the law and the Constitution, and that things will not be chaos and weapons in the hands of outlaws ». He Karbouli: «We have no preset position of the popular crowd, they are our brothers but we are against individual practices here and there and at the level of our areas; we have capable men to edit, but we need a weapon, which is the responsibility of the state, which is supposed to be supplied to the people of the tribes, like the children of the popular crowd ». MP confirmed the Kurdistan Alliance Shirin Reza ordered the renewal of the mandate for the presidency of the region Barzani affair within the region, and no one dares to compete. She explained satisfaction that the current situation is imperative that we face “Daash” and an end to the war and attention to IDPs and not to renew the presidency of the region. It is noteworthy that the machine secretary of the Central Council of the Patriotic Union of Kurdistan Adel Murad said that the National Union will decide later on the fate of the presidency of the region occupied by Massoud Barzani, since 2,005. 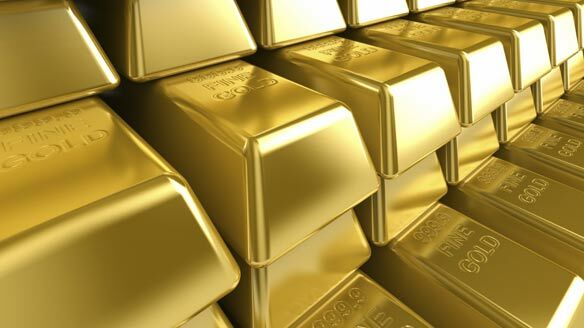 BAGHDAD / .. of the Finance Committee in the House of Representatives on Saturday revealed, for the purchase of Iraq’s 36 tons of gold bullion to strengthen the Iraqi currency. Condition of the Emir of the Dulaimi tribe Ali Hatem al-Suleiman, Saturday, Vice President Nuri al-Maliki arrest Kmassalhh fact of the year, and accused al-Maliki to bring the organization (Daash) to Iraq, as to refuse entry to the popular crowd forces to “areas”, threatened by targeting them by tribal members. at the time called Anbar province, similar to the achievement of the fall maintaining, however, the organization , the sources of information on ‘involvement Maliki facilitating the fall of Mosul, however, the organization Daash on the tenth of June. and the right side of the connector ‘, noting that’ al-Maliki did not respond to calls for the army to enforce it additional Baktat cover Joy ‘. The commission of inquiry has confirmed that al-Maliki will be the last convoked to investigate the reasons for the fall of the city, however Daash. She explained the days that before ‘plot fall of Mosul, however, the organization Daash is not only military, but also political and administrative too, ‘likely’ involvement figures in local government ‘in the plot. was not only a military conspiracy, but politically and administratively, too, ‘in reference to the involvement of people from the holders of power in Nineveh province in the fall of Mosul. and instructed the head of the House of Representatives, Saleem al-Jubouri, an investigation to uncover the circumstances of the fall of Mosul, headed by the President of the Security and Defense Committee in Parliament, of quitting, and a number of deputies. investigation Anbar in the same context, called for political and tribal entities in Anbar province, the federal government and the House of Representatives to form a committee to achieve a professional uncover the circumstances of the fall of most of the cities of the province, however, the organization along the lines of investigation in the fall of Mosul. These were those charges to the parties to a political party in Maliki’s government of conspiring with Daash and allow extremist organizations and entered into the province for political gain and described Baldikh.